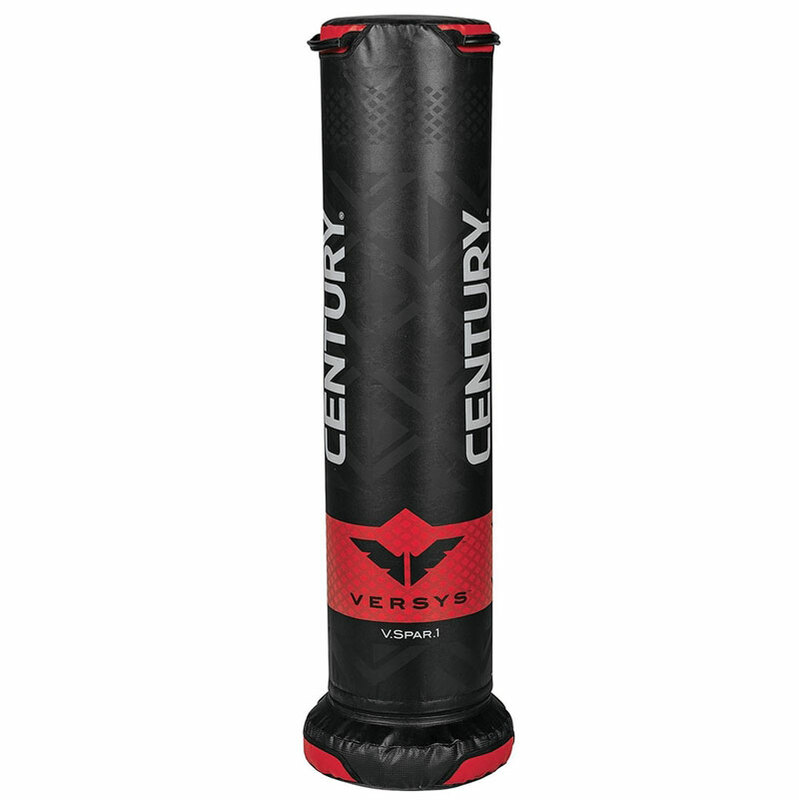 Century ® Versys VSPAR1 Kids Fight Simulator, is a versatile simulator designed specifically for youth, is ideal for inspiring physical activity including aerobic conditioning, endurance, speed, and technique training. The size and weight of V.SPAR.1 provides youth a large striking surface while still small enough to pick up, toss, and take down. It can also be used as a tool to enhance young athlete’s coordination and development, thus opening new doors to exploration, learning, and creative expression. The V.SPAR.1 is a fun and healthy way to keep youth active and in shape. 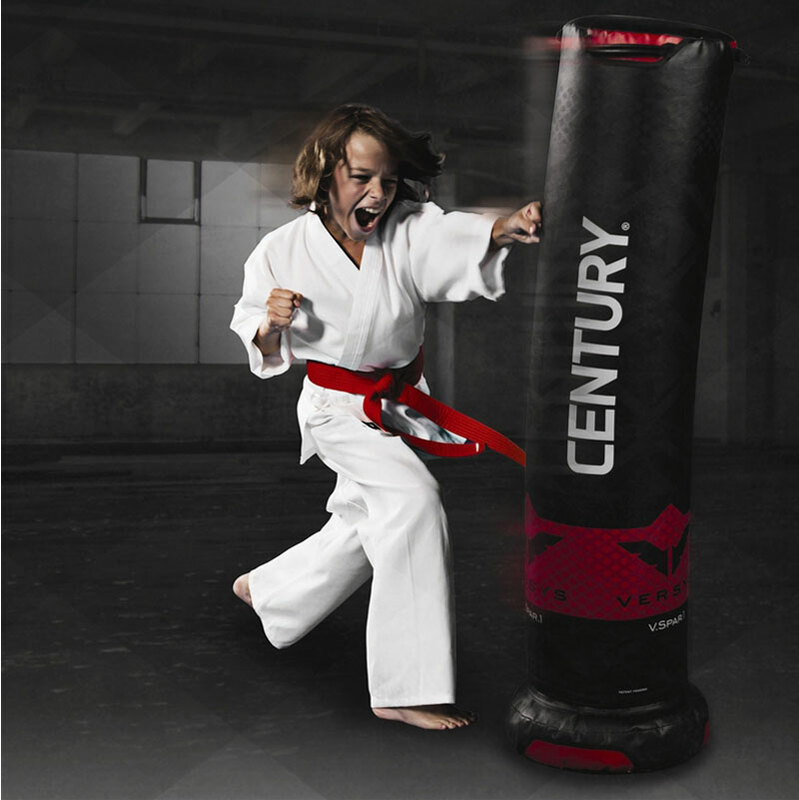 Engineered for youth: unlike most freestanding bags, children have a limited reach when performing kicking drills due to the large base and overall size of most freestanding bags. Practice a full range of combination strikes including low/high punches and kicks, knees, and elbows. Training versatility: stand up sparring, take down, and ground workouts. Natural rebounding properties provide low impact even when practicing maximum force strikes and kicks. Convenient to move and easy to store. Top handles enable knee strikes. Durable heavy duty vinyl construction. Constructed of durable polyurethane/high-impact foam. Requires no hanging fixtures, bag stands, or permanent installation. Pre-filled base requires no additional water or sand filling. Size: Bag-28cm diameter; Base-35.50cm diameter; Total Height; 122cm tall. Suitable for up to the age of 13 years approximately.